It is nearly 6 years since I had been to a marathon. Wait ... Wait... I'm not a marathon runner. But, I regularly participated in the marathons as a "walker" ... signing up for 5K walks... whenever it happened in the bay area in USA. Recently, there were several marathons organized in Chennai. But, I didn't register for any of them. They conducted a warm-up exercise for the kids and started the program on-time. That was again a surprise to me. Since the program involved kids, I was expecting a 30 minutes delay. But, they started the marathon sharp at 7.45 am (the advertised time). I was so happy to see several 100s of children, wearing yellow T-shirts, enthusiastically participating in the program. I met a few of my ex-Juniper friends and my Toastmasters in the Kidathon. When the kids finished the marathon, they stood in queues and collected certificates. That was also coordinated well by the volunteers. 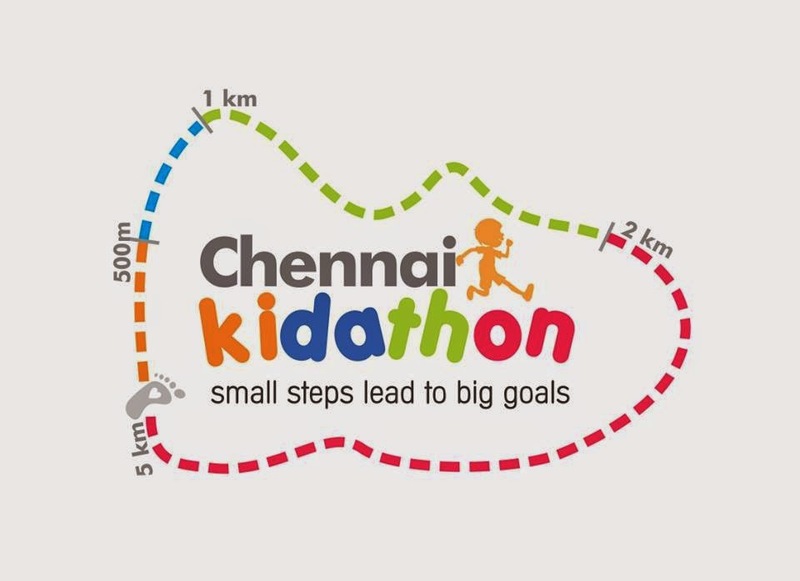 I'm glad that I made my daughter to participate in the Chennai Kidathon. The quality of the show was really "world class". It was on-par (in fact, above par) when compared to some of the marathons that I participated in USA. Great show Chennai Kidathon organizers ! !